All eyes will be on you in this romantic jersey evening dress. 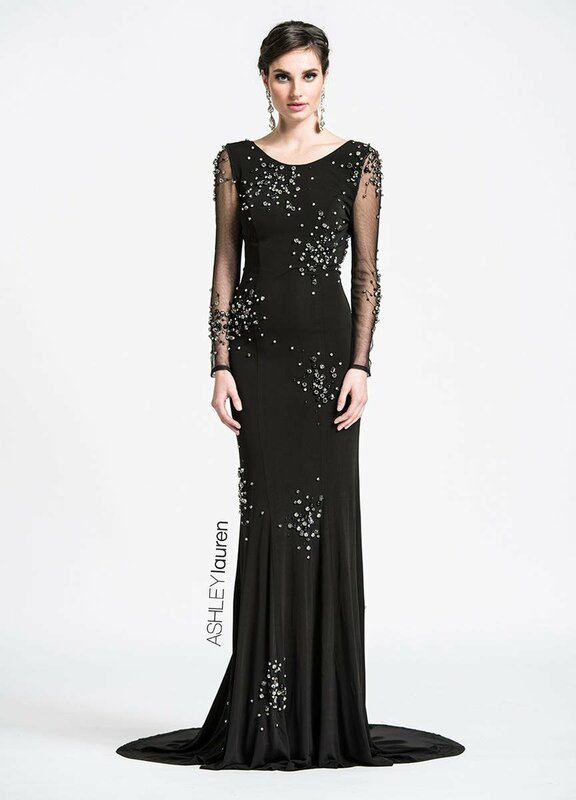 The illusion sleeves and gown are adorned with clusters of crystals that sparkle. The deep open back adds a sultry flair.